The beauty of Twitter is that you are allowed to follow anyone you’d like. And anyone can follow you. Unlike most other social networks, there is no requirement to reciprocate follows. Twitter is only as effective as the level of trust others associate with you. But with most people misunderstanding Twitter, they look at what others are doing. And what they have found over these past few years is that people with large follower numbers notoriously have equal or greater following numbers. Seeing these inflated numbers, the majority of Twitter users interested in an expansive following blindly follow back every follower they receive. Or they may have adopted software that automatically follows whoever follows them as well as searches for & automatically follows new people. In their strategy, a follow gets a follow, no questions asked. Nor any engagement needed. As a matter of fact, the well known Twitter advocate Chris Brogan once employed this strategy. 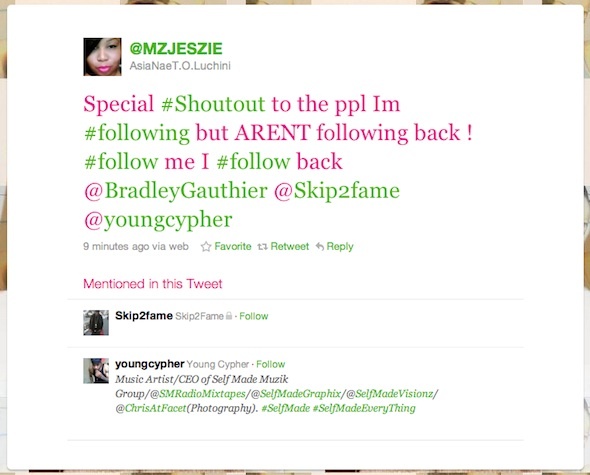 However, he said no to this autofollow strategy in 2009, but it was to late. He had already accrued too large a number of people he was following (as of this post, he follows around 138,000 people). And now he has a heck of a time managing it all. The autofollow has created a false idea for most Twitter users. And have even given rise to large groups of people (eg. 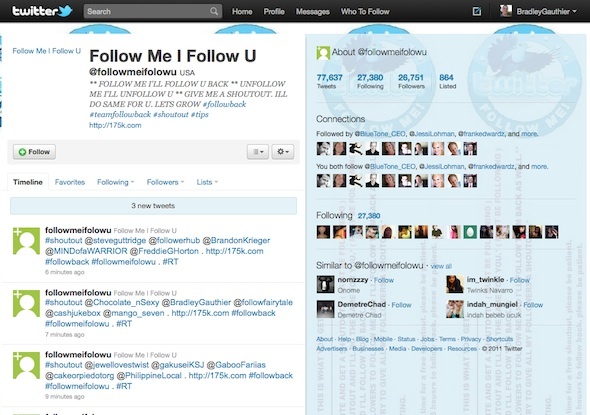 #teamfollowback) who follow you if you follow them. But the second you unfollow, their software instantly unfollows you. This does not build trust nor authority. 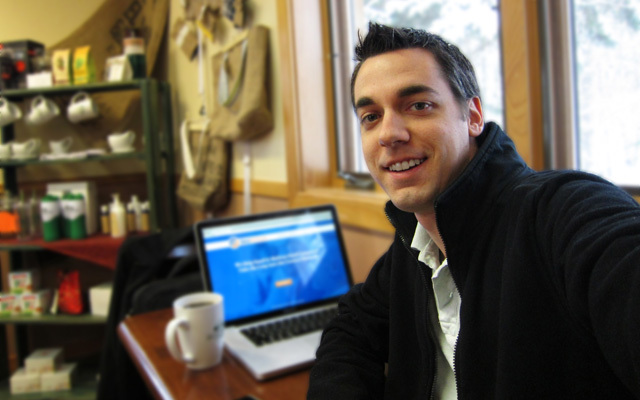 We all have our specialties and expertise. And we all have our interests. If you want to successfully use Twitter as a communication tool, following everyone under the sun is not the answer. Nor will it make for an enjoyable long-term Twitter experience. Example: A dog trainer likes gardening so she reaches out and follows a gardener on Twitter. This gardener dislikes dogs. Is she supposed to add a string of dog training tweets to her home page? Multiply this one Twitter following interaction by 10,000 and you have what your home screen will look like after a year or so of auto-following. A jumbled mess of random, useless tweets by Twitter users you’ve never met, nor may ever care to meet. Furthermore, when does it stop? If people say the true purpose of Twitter is to connect with everyone, shouldn’t we all be following millions of people? Or maybe just instantly be connected with everyone else on Twitter the day we sign up? By reaching out to others, offering value and engaging in conversations, you’ll quickly realize the true use of Twitter. An effective communication tool perfect for connecting with your sphere of influence. Follow & engage with those you admire. Head to Search.Twitter and jump into conversations you find interesting. Stop worrying about who is or isn’t following. Basically, just start getting involved with your desired group of users and let them know you are out there and interested in building solid relationships. Would you rather have 10,000 followers who do not know you exist and are following you just because you followed them? Or 100 followers that love your tweets and cannot wait for the next one? What has been your experience with this strategy? Is it rude not to follow others back? Or what determines why you follow someone?